Internal medicine is the heart of most care plans, which is why Mario R. Perez, MD, and the staff at SunCoast Premier Medical in Clermont and Davenport, Florida, take a proactive approach with their patients. Through the internal medicine service, Dr. Perez offers primary care with complete wellness assessments and nutritional therapy. He conducts diagnostic testing and treats patients with traumatic injuries, as well. In fact, the office is open to those suffering from everything from the common cold to severe pain. It's a holistic approach to medical care that treats the body as a whole instead of focusing on just one particular problem. As your primary care physician, Dr. Perez coordinates all medical treatment. He is like the quarterback handing out plays to other medical professionals and overseeing any treatments necessary to keep each of his patients healthy. What are Diagnostic Testing Features Available at SunCoast Premier Medical? Any one of these tests provides valuable information about your general health and welfare. What are Some Common Reasons to Order an Ultrasound? SunCoast Premier Medical offers full digital ultrasound technology managed by certified sonographers to ensure patients get the best diagnostic testing available. An ultrasound is a pain-free procedure that takes just minutes to complete, and it’s one of the most effective tools available for the early disease detection. 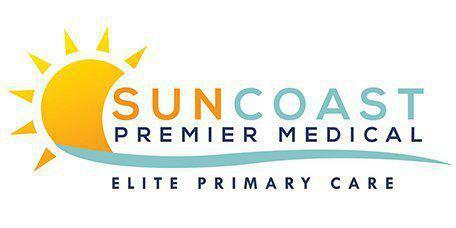 What Kind of Nutritional Service Does SunCoast Premier Medical Offer?